Accept more donations for your organization with our free guide. Donations are a key part of your organization’s financial well-being, but sometimes just spreading the word can be a challenge. We understand the struggles facing faith-based organizations when it comes to asking people to give, so we’ve put together a guide to make it easier. 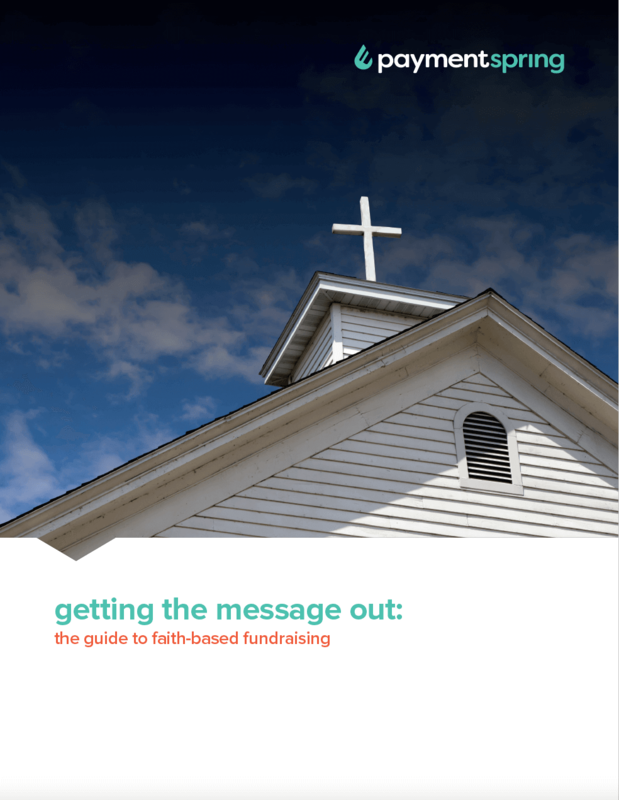 In our free e-book, Getting the Message Out: The Guide to Faith-Based Fundraising, we cover the tools you’ll need, give you tips to inspire more giving and provide sample messaging. Your free guide awaits you. Download our free toolkit, and if you’ve still got questions, don’t hesitate to reach out to us at 844.348.5702 or send us a message for more ways we can help your organization accept more.